VangoNotes are flexible; download all the material directly to your player, or only the topics you need. And they're efficient. Use them in your car, at the gym, walking to class, wherever. So get yours today. And get studying. This series of audio lectures on anatomy and physiology is a great resource. While it is not comprehensive by any means, it is a great series of lectures on complex topics in A&P. For example there is a lecture on homeostasis, the structural units of bone, events at the neuromuscular junction, etc. Essentially one or two lectures related to each body system. It is great to listen to in the car, as a way to study passively. I have listened to the first 12 lectures at least 5 or 6 times each and they have enhanced my understanding and ability to cover more material more efficiently in the course. 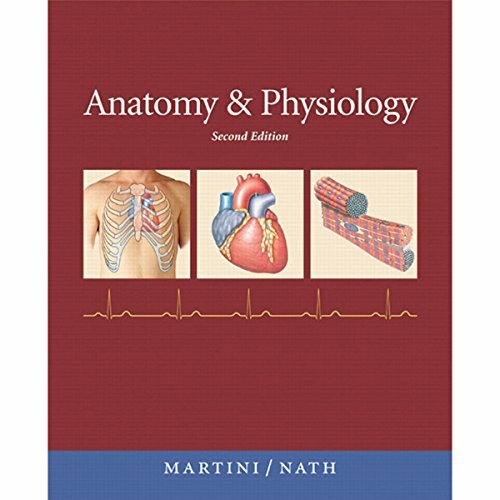 What was one of the most memorable moments of VangoNotes for Anatomy & Physiology, 2/e? My complaint: the lectures are indistinguishable from each other in my audible app. They show up as different "books" but they are identical except for the running time. It's impossible to know which topic you are clicking until you play the first 20 seconds. If it's not the one you want, click another. But good luck finding the other one when you want it. Honestly what a waste of time and effort! How about TITLES?! Have you listened to any of Amy LeBlanc and Mark Greene ’s other performances before? How does this one compare? The reader is very good, but there are a few errors which the producer should have caught: a phrase inadvertently repeated, awkward emphasis on the wrong word, misdirecting the meaning of a sentence. She has a good voice and seems to understand the material and I didn't have any argument with pronunciation. Please please change the way these chapters show up in the app.